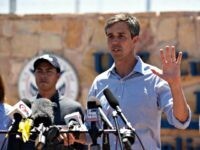 During a town hall event on Wednesday night, Rep. Beto O’Rourke (D-TX) told a black American that illegal aliens are today's cotton pickers. In the mid-1990s, Civil Rights icon and Texas Democratic Congresswoman Barbara Jordan issued the findings of her immigration commission, where she revealed that mass immigration to the U.S. hurt poor, working-class and lower-tier middle-class Americans the most, as it unfairly put them in competition with a never-ending flow of cheaper, foreign workers. Most impacted, the Jordan Commission discovered, were black Americans. Portraying foreign nationals as the only willing blue-collar workers in the U.S. is a talking point often used by the open borders lobby, the Business Roundtable, and both political establishments. Try to raise your voice in front of other people and in front of the govt. As middleschooleducators.com said that fight for your rights because no one gives you your right at your home.